Hi all, hope you are well and have had a great week!? Tired of brittle, dry and split ends caused by the application of heat to hair? 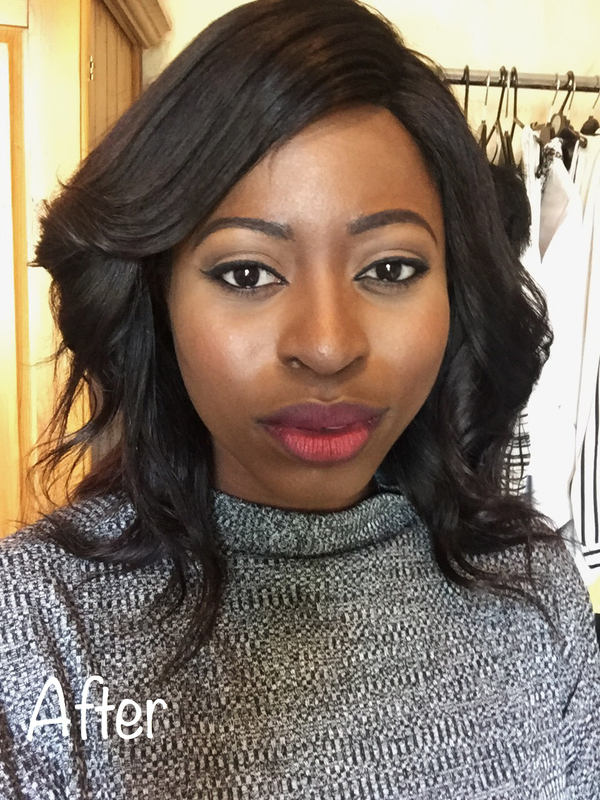 So done with weighty and not so easy to manoeuvre flat irons? Well, I’ve got great news for you – Irresistible Me Diamond Flat Iron. It is very likely that you might be familiar with the brand Irresistible Me. They are well known for the part they play in the hair extensions industry, and shall I say they are excelling at it. 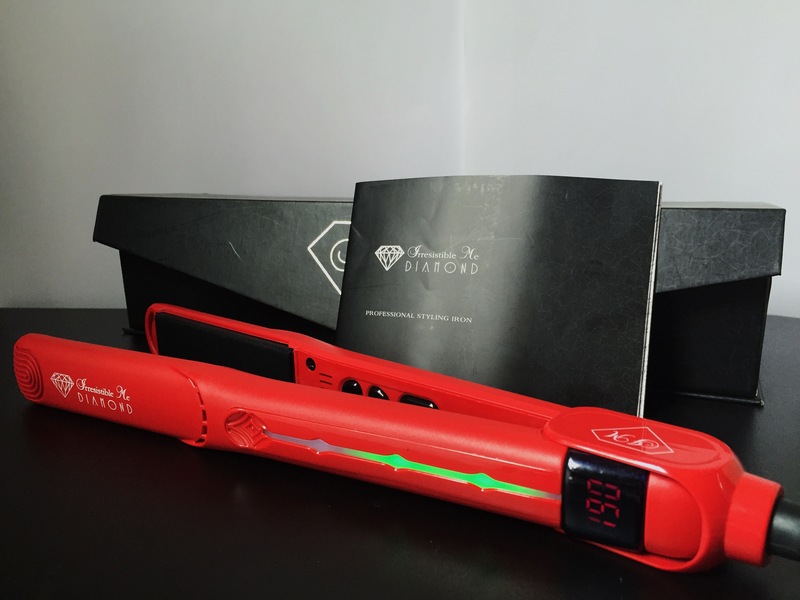 Nevertheless when I was contacted by the brand’s representative, I opted to try out the Diamond Flat Iron as I was impeccably done with the flat iron I was using at that point in time. Shipping was super quick, I really wasn’t expecting it. A point to mention is for the fact that the iron is of an American nature, plug wise, one will need to purchase an adapter costing a few pounds. I had some troubles during this process, as most electrical stores I visited weren’t able to help. I eventually was forced to contact the brand representative who provided an online link where I could purchase one. 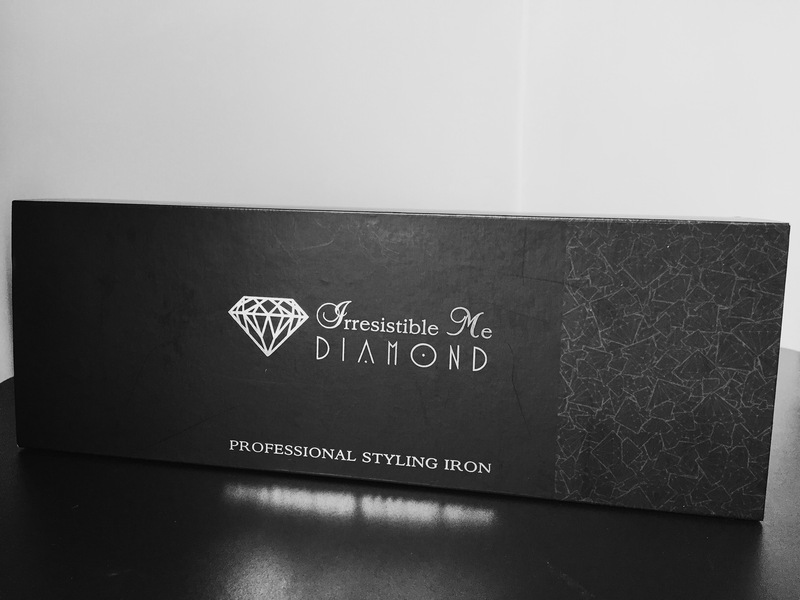 The packaging of the flat iron is quite exquisite; a black portable box with silver prints; the sight of which got me excited. 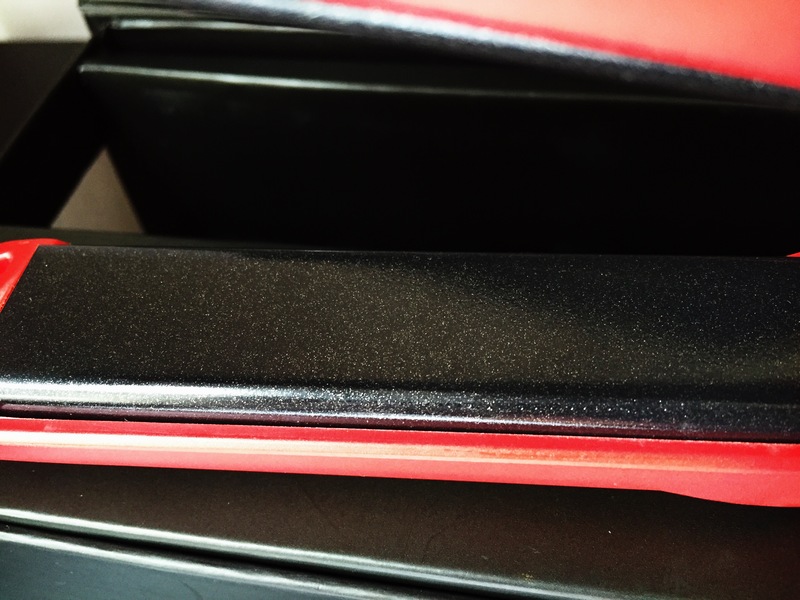 The box is also reusable in storing the iron after each use. The main workability points of the iron are printed on the flap of the box for quick referrals. 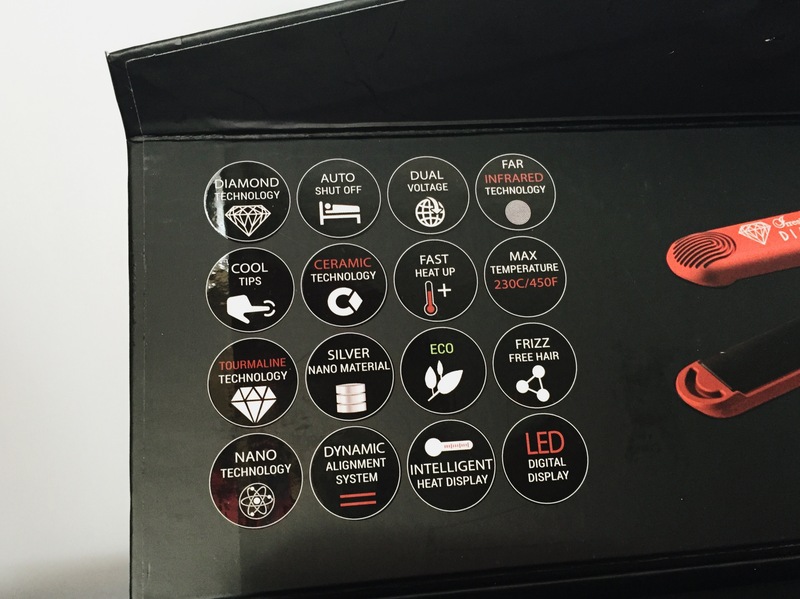 A manual booklet is also included in the box, which highlights in greater depths the qualities of the iron. The iron is red in colour, causing it to be unmissable. It is very portable in size, and would be great to take along on travels. With grip friendly prints, its lightweight nature, a 2.5 metre power cord which has the capability of revolving over 360 degrees, it enables a smooth sailing manoeuvre when in use. The plates have a dynamic alignment system which self-adjusts to provide a great working relationship between the iron plates and hair, eliminating any damaging pressure points. 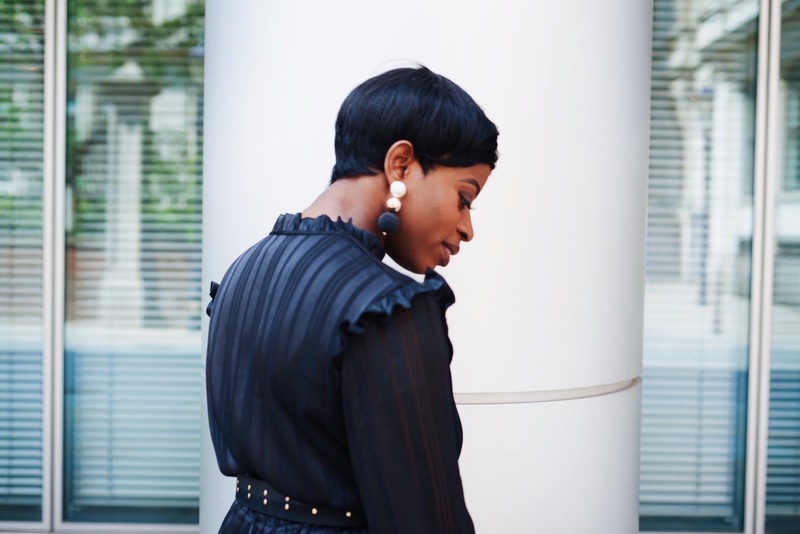 When this first occurred, I thought ‘wow oh so flimsy, are we?’ However I later realised the essence of the act it displayed – helping me work through the hair without pulling. 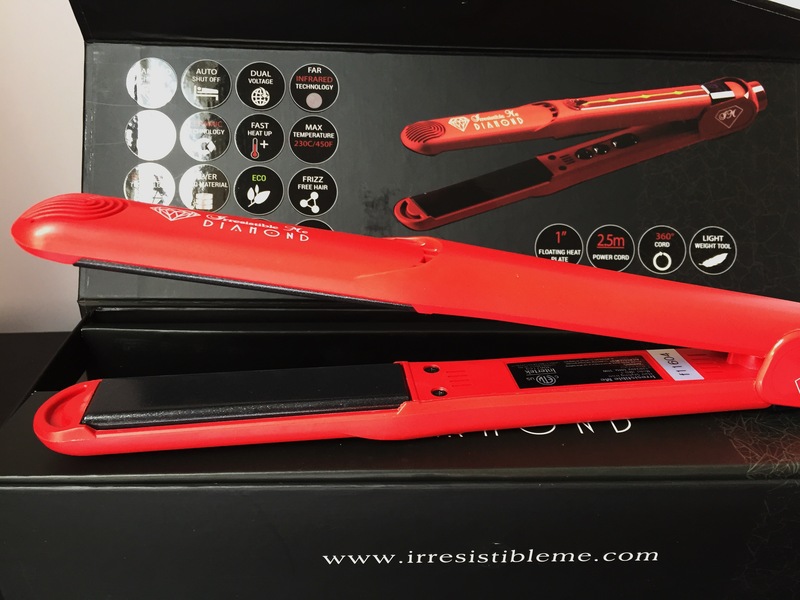 Encrypted in the plates of the iron are crushed diamonds and tourmaline minerals, which enhance its durability and heat transfer, and also help to seal natural oils, moisture and colour in hair respectively. This iron literally heats up in less than 5 seconds! It has a dual voltage, meaning it is programmed to change from Fahrenheit to Celsius depending of power provided. Temperature ranges from 120 to 230C. I use it at 150c, which very much is efficient for the outcome I anticipate. It also has inbuilt LED lights that displays the temperature settings. May I also mention that the tip of the iron does not get hot, so there’ll be no chances of you burning yourself; it is safe to grip. A great quality of the iron I appreciate is its auto shut off! Have you ever wondered, after leaving home, whether or not you turned off an appliance? I’m sure it happens to us all, not just me, right? *Covers face*. So I was super glad when I discovered this. It shuts off after 30minutes of use. I however must stress that one doesn’t solely depend on this. Please ensure that appliances are switched off before exiting a room. I very much like this product. 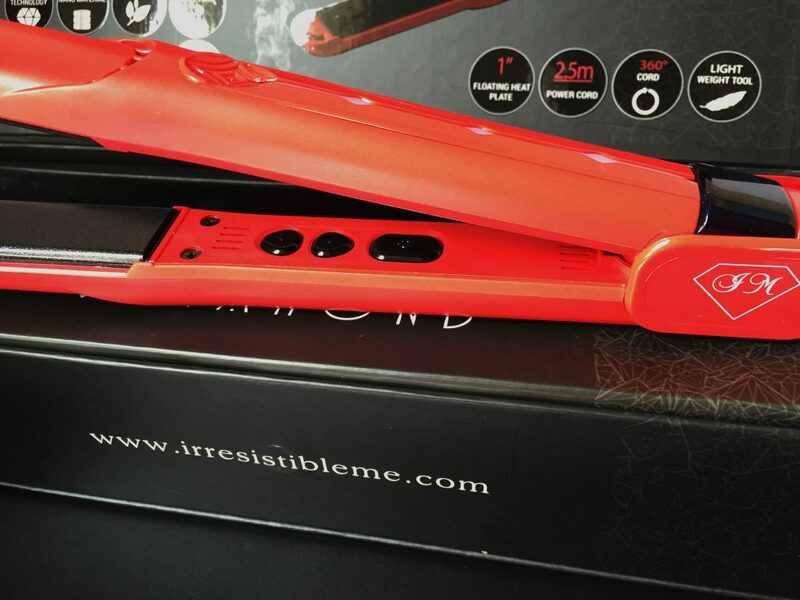 I no longer have to wait 10minutes for a flat iron to heat up, and several waits in-between use. The outcome, when used, has been great. No reasons for concern, besides the need of an adapter, which one can overcome. 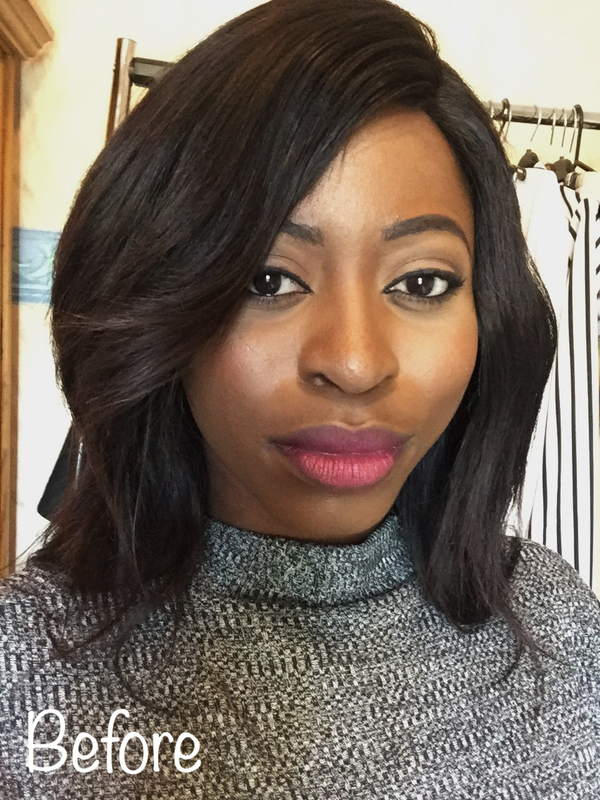 It’s Funmi approved! I do hope this review is helpful. 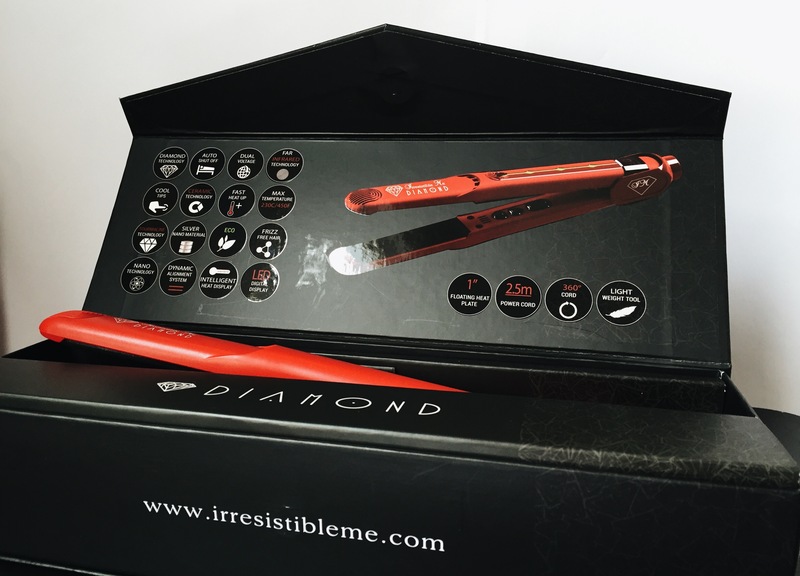 Be sure to check out Irresistible Me and the Diamond Flat Iron, which is currently on sale at a $30 off . Looks like a great product 😛 thanx for the review! Looks and sounds pretty good! And your hair looks fab! The fact that it heats up in 5 seconds is impressive! You hair looks amazing, I guess when you have a good tool to work with, you end up with beautiful hair, good job!